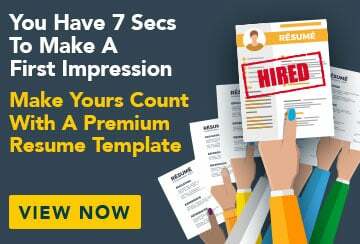 This free sample cover letter for an administrative officer has an accompanying administrative officer sample resume and sample administrative officer job advertisement to help you put together a winning job application. I am writing to apply for the Administrative Officer position as advertised on the Melbourne Nursing School website. I am currently employed as an Administrative Officer at the University of Victoria and have five years of experience working in office administration. In my present role I enjoy the dynamic environment of the tertiary education setting and have an excellent understanding of the processes and procedures that operate in an academic environment. I am also aware of the manner in which staff can contribute positively to the academic community. I have had extensive experience in providing administrative support to senior academics and clinicians, including managing the organisation of courses, answering telephone and email enquiries, administering databases, collecting and analysing research information and producing statistical reports. I also have previous administrative experience in a medical setting, and spent three years working in the Research Development Office of Royal Prince Harry Hospital. During this time I undertook a Medical Terminology Course and gained an understanding of the communication protocols required in this environment. One of my strengths is my ability to multi-task and carry out the diverse range of responsibilities attributed to administrative staff in a timely and effective manner. This can range from processing financial information to undertaking OH&S inspections, and I have demonstrated that I am keen to take initiative and work collaboratively with other staff to make office processes as efficient as possible. I possess advanced skills in using TRIM and Microsoft Office programs, am passionate about building relationships with colleagues and stakeholders, and I put people at ease with my friendly and professional manner. Thank you for considering my application and I look forward to discussing my candidacy with you in further detail.